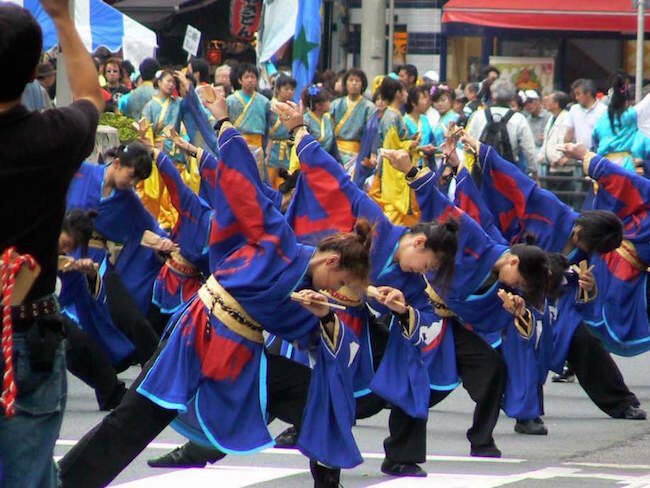 The Energetic Tokyo Festival with Traditional Dance! 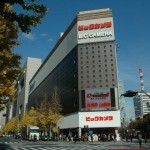 Fukuro festival is a large-scale festival hold in Ikebukuro. This festival started in 1968 by 4 shopping street associations. 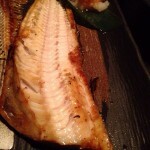 Fukuro festival goes 2 days. There is an opening ceremony, and an eve festival on day1. 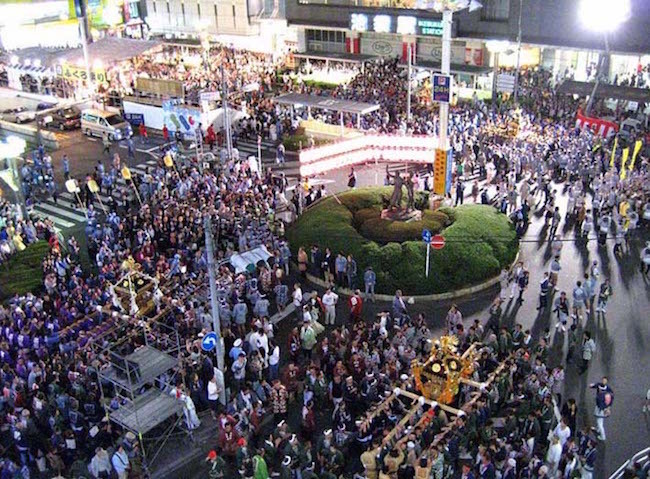 The following day has portable shrine parade, Japanese drum show, musical accompaniment, Eiser Okinawa parade and much more. This year, the festival will be hold on September 26th and 27th 2015. What is Japanese Festival Like? Have you ever experience Japanese festival? People from overseas often say that Japanese are quiet and shy. 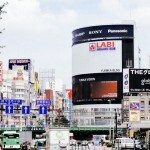 This is a photo of Ikebukuro Station on Fukuro festival! You can hardly walk, but there are sounds of festival music, chatting,and laughing. 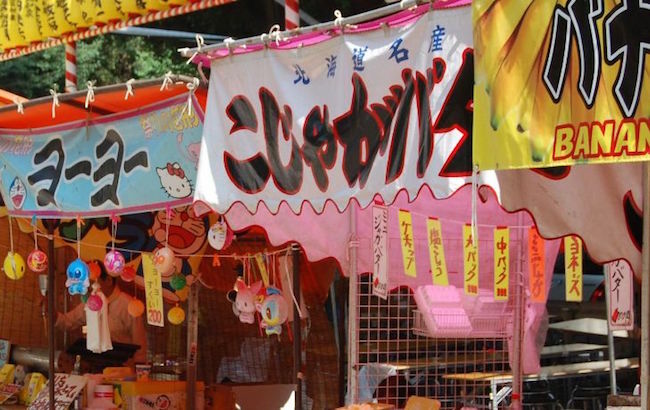 There are a lot of special food stand for Festival lining up both side of the streets! 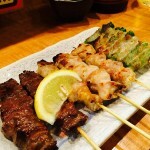 I am going to write more about food stands at festival in "Special Contents" of TOKYO STORY. Please check the report before you head off to a festival. There is the biggest Yosakoi dance competition at the end of the festival. 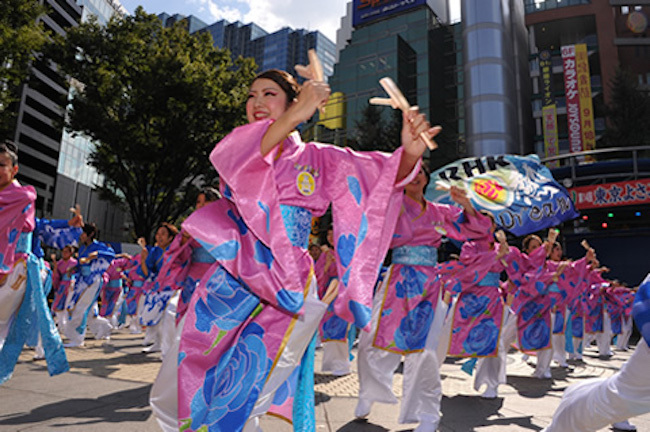 There are 9 halls and over 100 of Yosakoi dance teams shows their own style of Yosakoi dance. Yosakoi dance is a traditional Japanese dance origined in Kouti prefecture. 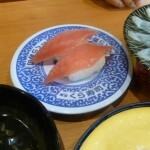 The history of Yosakoi dates back to 1590's. But nowadays, there are variety types of Yosakoi dance, for example, hip-hop, samba, rock, hula-dance and much more! People enjoy by arranging in their own style! 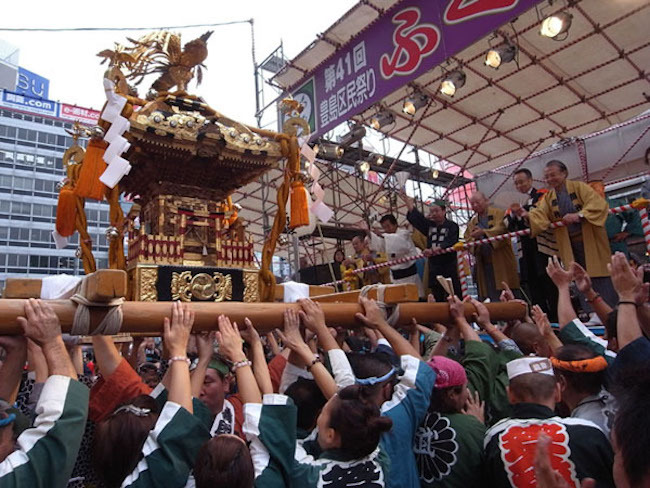 Fukuro festival is only holds once a year. 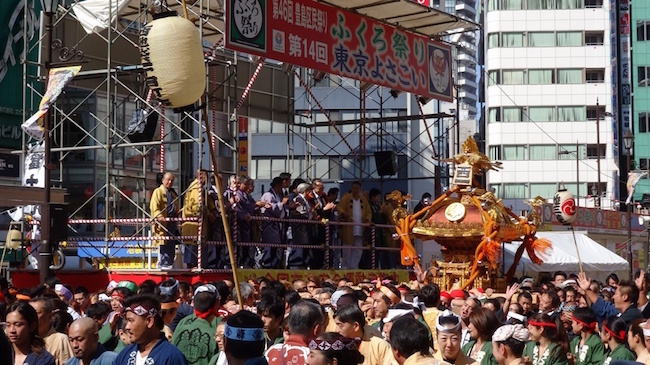 If you are in Tokyo on 26th and 27th of September, please try to experience vigorous Japanese festival!